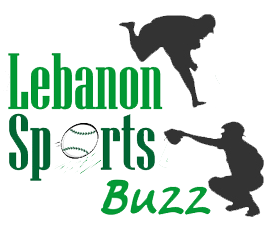 LEBANON – There is no sport quite like cross country. 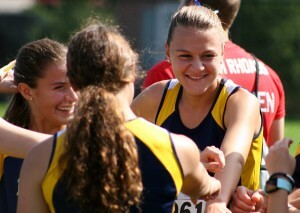 In no other sport do competitors pull for and encourage each other as much as they do in cross country. But that doesn’t mean they like it when they’re beaten by their friends, neighbors or even teammates. 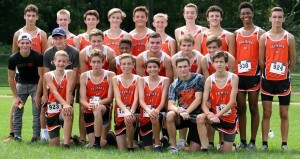 On a humid Saturday afternoon at Gloninger Woods Park, the locale celebrated the sport with its annual contesting of the Lebanon County Cross Country Championships. 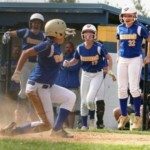 This season’s storyline featured a couple of runners shaking their ‘runner-up’ tags and the continuing dominance of Cougars. 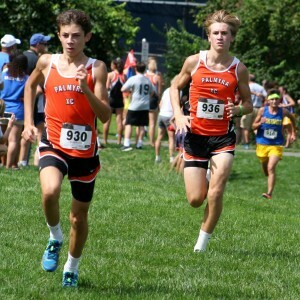 Spearheaded by a gutsy performance from sophomore Jakolby Fackler, Pamyra ran away with the boys’ team competition. 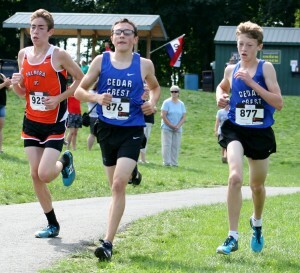 The Cougars compiled 27 team points to easily out distance second-place Cedar Crest, as Fackler and teammates Markus Vottero and Zack Toth went one, two, three individually. 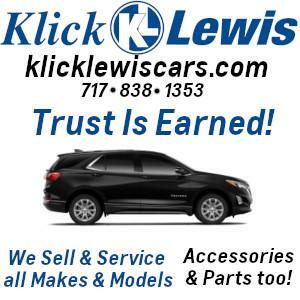 Elco finished third and Lebanon High was fourth, followed by Northern Lebanon and Annville-Cleona. In the girls’ competition, the Cougars extended their nearly decade-long dominance of the county meet by scoring a similar total of 27 points. 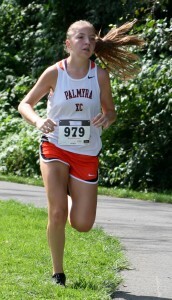 Individual runner-up Marissa Mull showed the way for Palmyra, as Elco took second, followed by Annville-Cleona and Cedar Crest. 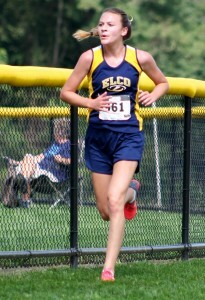 The top individual honors went to Elco senior Lily Brubaker. Hitting her personal-best, Brubaker finished well ahead of the field, for her second Lebanon County title in three seasons. 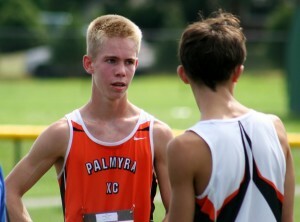 “I like the idea of a county championship,” said Dave Hollen, who serves as both Palmyra’s boys’ and girls’ head coach. “It’s not the high pressure of the bigger invitationals. This is our local championship. I like that aspect of it. Running relaxed ahead of the Cougar pack, Fackler enjoyed himself thoroughly. He got off to a good start, got to the front and chose to lead the pack instead of run away from it. 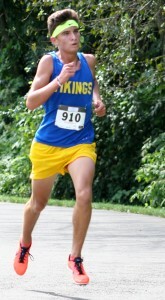 His winning time of 15:16.6 was nine seconds faster than Vottero and 11 seconds quicker than Toth. 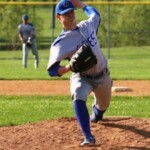 Last year, Fackler finished second to currently injured teammate Matt Carroll. “It was a tight squeeze at the beginning, so you had to go out quickly,” said Fackler. “I just wanted to roll and see what I can do. Halfway through the race I wanted to keep pushing msyelf. 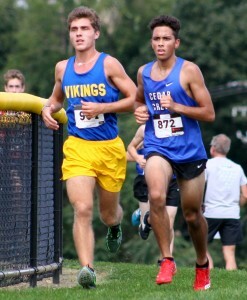 Northern Lebanon’s Gage Krall was fourth in the boys’ race, Cole Nelson of Elco and Raider teammate Mitchell Gray were fifth and sixth, while Viking Jordan Berger came in seventh. 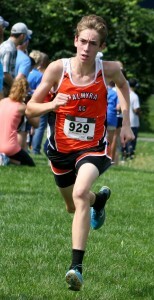 Xander Topos of Palmyra ran eighth, Cedar Crest’s Dominigue Smith-Rodriguez took ninth and teammate Ryan Wolfe finished tenth. 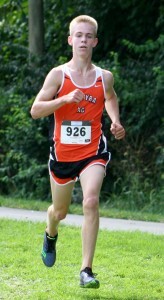 The Cougars’ fifth and final counter was Jake Klucinec, who finished 13th. “That was definitely the goal coming in,” said Fackler. “We wanted to go one, two, three. And we wanted the team to finish well. Brubaker wasted little time establishing her superiority. She went out strong, lengthened her lead and over the last mile competed against herself. Brubaker covered the 3.1-mile course in 18:41, some 57 seconds fasater than Mull and more than a minute quicker than her previous best. 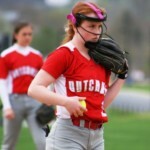 “I always like to go out strong,” said Brubaker. “Coach always talks about ten big steps after the hill. I could hear the other girls behind me. But I was focused on opening the distance to relieve some of that stress. On the second lap, I just relaxed. Behind Brubaker and Mull finished Emily Williams of Elco, teammates Hannah Rohrer and Sarah Galvan of Palmyra and Braetan Peters of Annville-Cleona. Cougar Claire Keck took seventh, Falcon Mia Reigert came in eighth, Cougar Riley Holsople was ninth and Little Dutchman Mary Tshudy finished tenth. 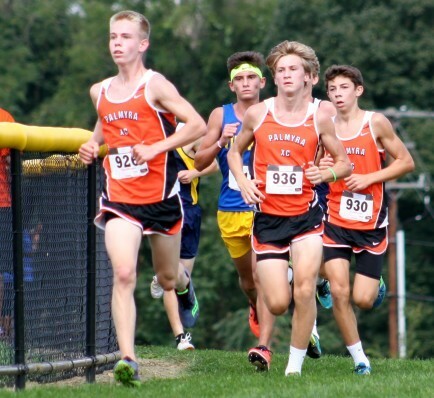 Palmyra placed five runners in the top nine. 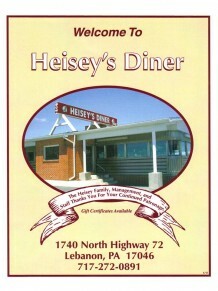 “”They’ve been running together a lot in that pack,” said Hollen. “Then they kind of break up, depending upon who’s having the best day. “Last year I just did not run a smart race,” said Brubaker. “It was a slow race and it came down to a kick, and my kick is not as strong as some. This year I wasn’t going to risk it.